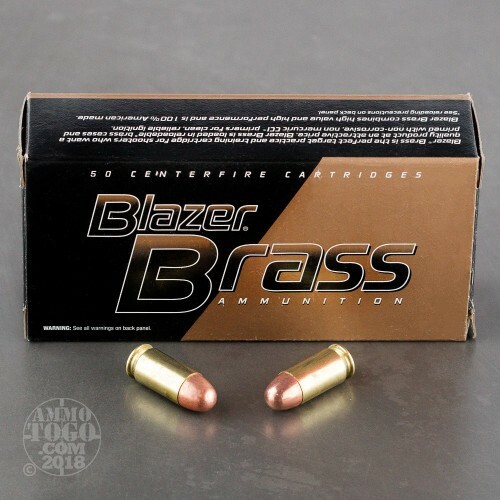 Blazer’s usual aluminum cased ammunition offers a suite of great benefits, but none of them are adequate to overcome a devoted handloader’s desire to breathe life back into every casing their firearms eject. 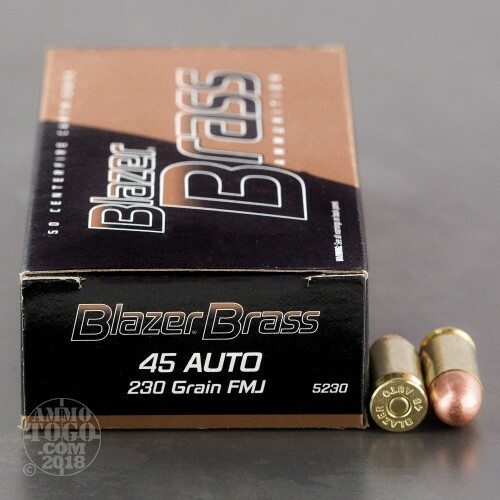 If you share such an urge, then you’ll be pleased to know that you can enjoy the great performance offered by a Blazer round and still receive a handy brass casing afterward with the American company’s Brass line of ammunition. This round features a 230 grain projectile. 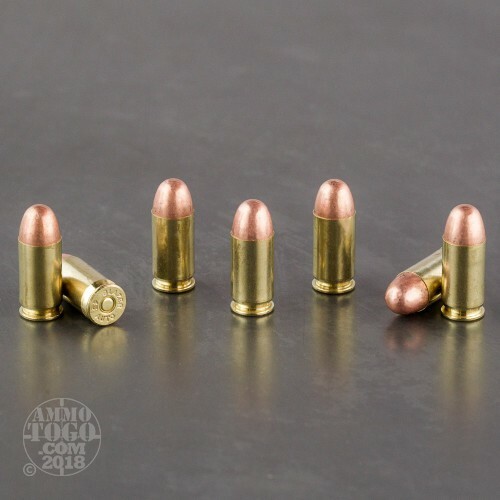 The bullet’s full metal jacket prevents bore fouling, and its round nose profile enables it to penetrate any variety of targets you’d use for plinking and target practice. This bullet’s base is nicely protected as well, so you’ll be able to keep your breathing space much less toxic while firing it. 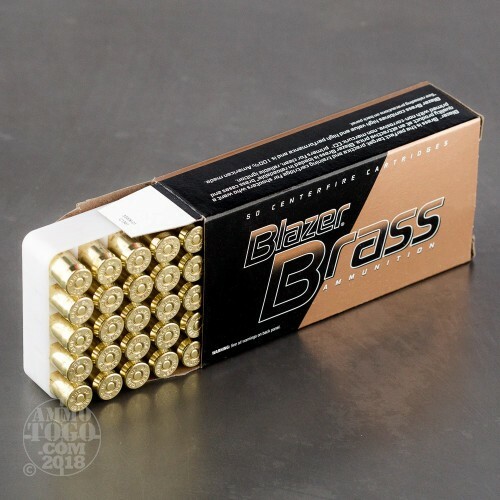 Blazer’s Brass ammo is crafted to SAAMI specifications, and is further backed by ISO certified systems. This round’s CCI primer ignites with every bit of reliability that you should expect from a fine ammunition, and its propellant is clean burning. I have shot around 250 rounds of this ammo without any problems. Accuracy is ok and it does leave your gun a little dirtier than Winchesters white box.